The human brain is the most incredibly complex, sophisticated, and versatile object known to man. All our bodily processes and everything we think, say and do depends on the proper functioning of its 86 billion nerve cells and the 100 trillion connections between them. Until about 30 years ago, scientists believed that the number of nerve cells and synaptic connections are fixed from childhood. With age and abuses, like drugs or alcohol you could only lose brain cells and network capacity. Fortunately for us, we now know that this is not the case. Neuroplasticity, the brain’s ability to rewire itself, is widely considered to be the greatest discovery in the last 100 years of brain science. The fact is that the brain can literally grow and develop at any time in life. The trick is to know exactly what methods to use in order to harness that capacity and direct it toward the specific mental performance goals that you would like to achieve. Obviously brain fitness is a necessity if we are to attain the measure of health, happiness and success that we all want and need. So how do you take care of a brain? It’s true that proper diet, rest and exercise play an important role. So does challenging yourself with pastimes like Sudoku, chess or online brain games. But if you actually want to boost your brain power to a whole new level and significantly improve your ability to focus, think, learn and remember, you will need to work in an entirely different way. You will need a properly designed and administered course of brain training in order to access the brain’s capacity to change itself. Neuroplasticity, the brain’s ability to rewire itself, is widely considered to be the greatest discovery in the last 100 years of brain science. The fact is that the brain can literally grow and develop at any time in life. The trick is to know exactly what methods to use in order to harness that capacity and direct it toward the specific mental performance goals that you would like to achieve. Obviously brain fitness is a necessity if we are to attain the measure of health, happiness and success that we all want and need. So how do you take care of a brain? It’s true that proper diet, rest and exercise play an important role. So does challenging yourself with pastimes like Sudoku, chess or online brain games. But if you actually want to boost your brain power to a whole new level and significantly improve your ability to focus, think, learn and remember, you will need to work in an entirely different way. You will need a properly designed and administered course of brain training in order to access the brain’s capacity to change itself. Obviously brain fitness is a necessity if we are to attain the measure of health, happiness and success that we all want and need. So how do you take care of a brain? It’s true that proper diet, rest and exercise play an important role. So does challenging yourself with pastimes like Sudoku, chess or online brain games. 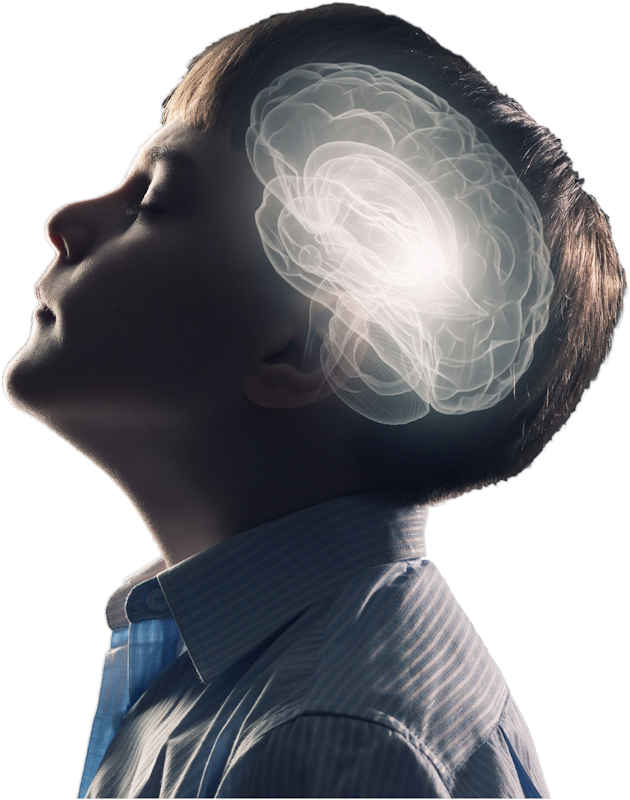 The Maxi Mind Brain Training SystemTM is built on three primary modalities of stimulating the brain – each without drugs, without academia, but with… fun: Sensory integration exercise, engineered listening, and computerized focus training using biofeedback. The specific brain training techniques we employ are developed, tested and endorsed by leading experts in their respective fields and used successfully by thousands of therapists in dozens of countries. For sensory integration, Maxi Mind incorporates the pioneering work of Frank Belgau, Ed.D., developer of Balametrics and the Learning Breakthrough Program. We also use iLs exercises developed by an expert team at the Sensory Therapies and Research Center under the direction of the legendary therapist, researcher and author Lucy Jane Miller, PhD, OTR. For engineered listening, we use the Integrated Listening System, developed over a period of 20 years by the illustrious neuropsychiatrist, Dr. Ron Minson, MD, a pioneer and leading expert in the use of engineered music for improving mental performance and treating a variety of brain based disorders. For computerized focus training, based on biofeedback we incorporate the ongoing work of educator Peter Freer, inventor of Play Attention, a game system that uses NASA-developed feedback protocols to train children to focus while developing a variety of cognitive and social skills for learning and life. In addition to these core interventions, courses are further customized to each child and may include other developmental tools as needed, such as cognitive and fine motor activities, SPL feedback technology, and HRV biofeedback. As a parent, you are an integral part of your child’s development. To leverage your central role, we will be providing you with parenting tips and strategies to help your child (and family) get the most out of their Maxi Mind Learning Program. In addition to these core interventions, courses are further customized to each child and may include other developmental tools as needed, such as cognitive and fine motor activities, SPL feedback technology, and HRV biofeedback. As a parent, you are an integral part of your child’s development. To leverage your central role, we will be providing you with parenting tips and strategies to help your child (and family) get the most out of their Maxi Mind Learning Program. Technology alone alone could never create the life changes we see with the Maxi Mind Program. Our “not-so-secret sauce” is great coaching. Think about your local fitness club. Thousands of members, hundreds of attendees. Without a personal trainer waiting for you, guiding you, cheering you on, you are much less likely to stick it out. Children with focusing, learning and self-regulation challenges need that coaching factor even more. Maxi Mind Coaches (formally Neuro-educational Therapists) work from their own home-offices throughout the Greater Toronto Area. They are available after school and on weekends to train your child. Each coach is equipped with a full suite of Maxi Mind tech and has gone through a rigorous, 3-month training process with a veteran Maxi Mind Coach to ready them for work with your child. Each Maxi Mind ProgramTM is delivered under the direct guidance and supervision of a registered clinical psychologist, which allows for cost recovery under private insurance plans.